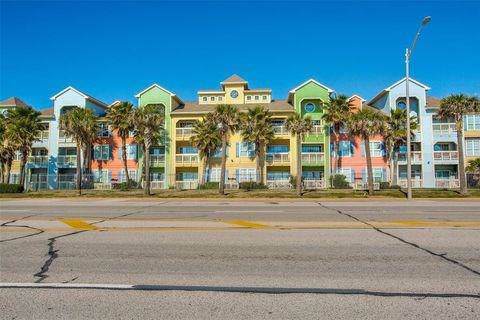 Charming beach getaway 2 bedroom condominium is tastefully decorated and completely turnkey! Large enough to use as a full time residence or makes a wonderful vacation rental. 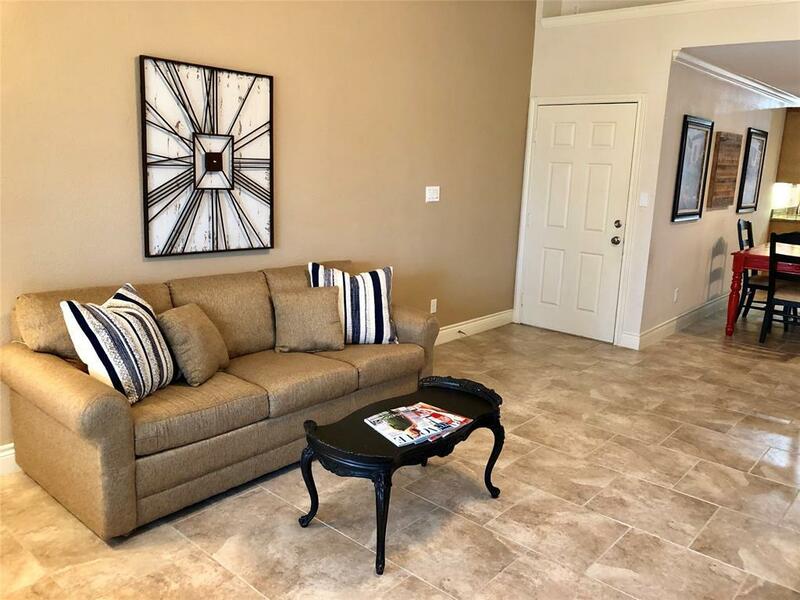 Fully equipped kitchen features granite countertops, stainless appliances, including a side by side refrigerator purchased in 2018. 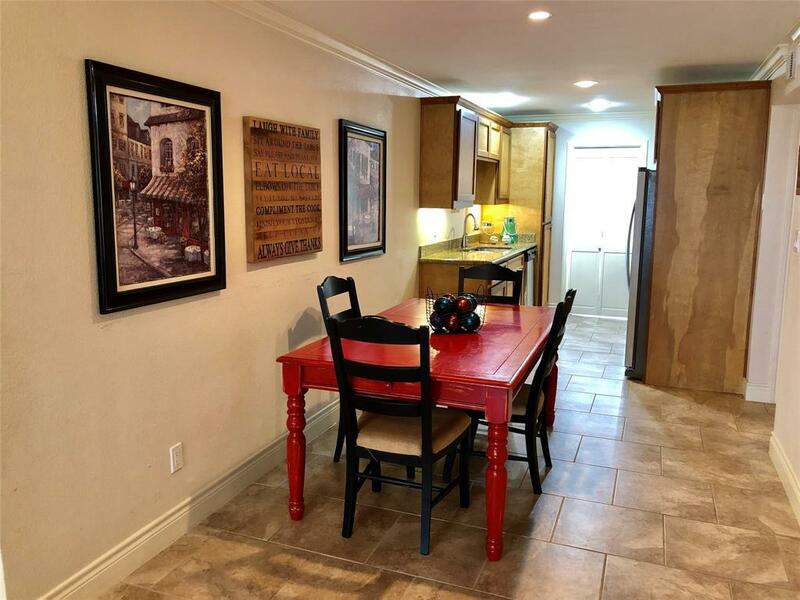 Laundry room is conveniently located off the kitchen with a full size washer & dryer purchased in 2018, as well. Split bedrooms open floorplan home with elevated ceilings & tons of natural light. 2 spacious bathrooms boasts granite countertops. The master bath features a huge walk-in tiled shower with seamless glass enclosure. Each bedroom has oversized closets with custom built-in storage. 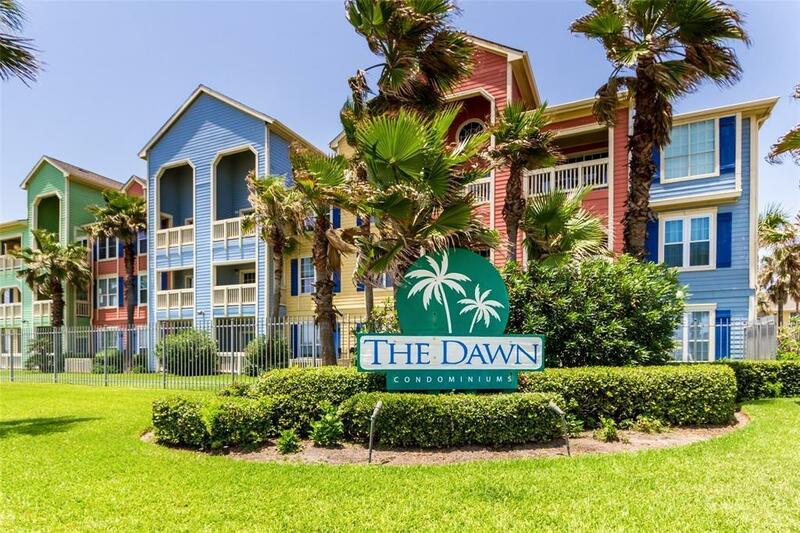 Just steps from the beach & minutes to everything Galveston has to offer! Truly a gem!